Before I get into my bed, I spray my pillow with a mist to help me drift off to sleep. I love the NEOM Tranquility Spray, but I started using something new recently. It is the Deep Sleep Pillow Spray by This Works* (£16.00). It is a blend of Lavender, Vetivert and Wild Chamomile and I find it very soothing. It puts me in a very relaxed, sleepy mood and makes me feel less anxious. If yous suffer with anxiety or night time panic attacks, I would definitely recommend having a bedtime routine and using a pillow/room spray to help you relax. It works wonders for me! Once I am in my bed, I use a thick lip balm to soothe and hydrate my lips. They become a bit chapped in A/W so I have to make sure to keep them moisturized. 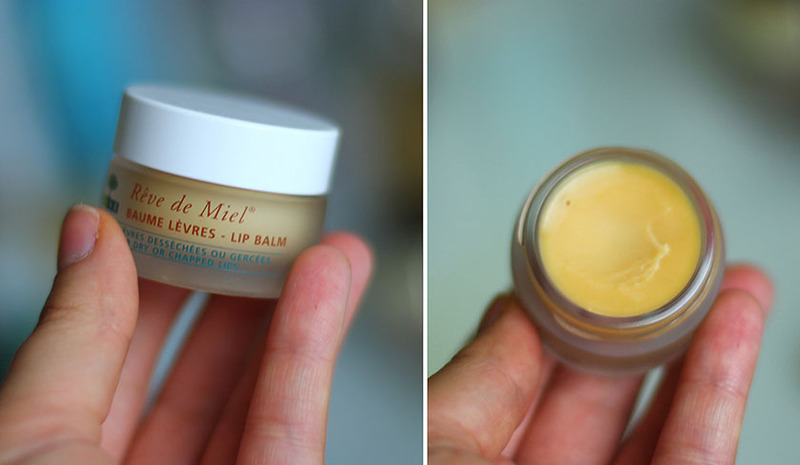 My favourite lip balm is Nuxe Reve de Miel (£9.50). I repurchased it recently and I always will. It is definitely the best lip balm I have ever tried! The consistency is very rich and soothes dryness instantly. Applied at night, the lip balm is slowly absorbed into the skin and I can still feel it on my lips in the morning. It leaves my lips soft and supple and... it smells like Terry's Chocolate Orange - YUM! It is an A/W must have for dry lips and it has a permanent place on my bedside table! 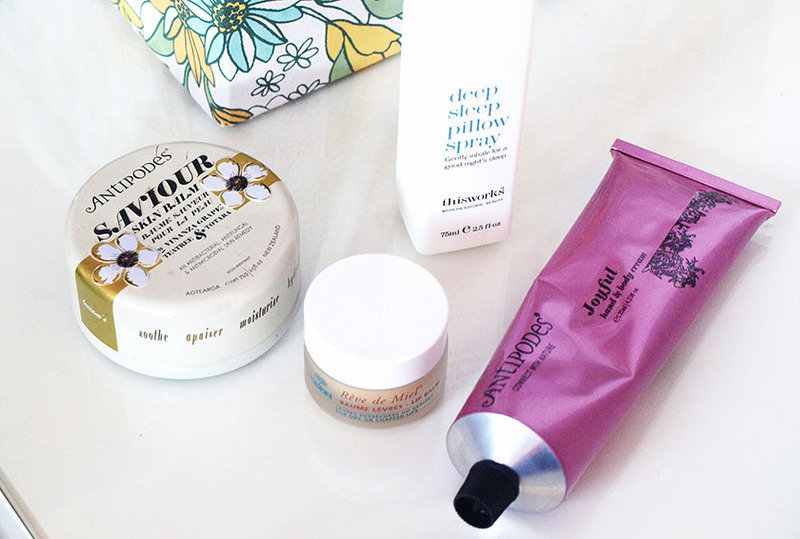 The two last steps of my routine are a rich ointment and a hand cream. 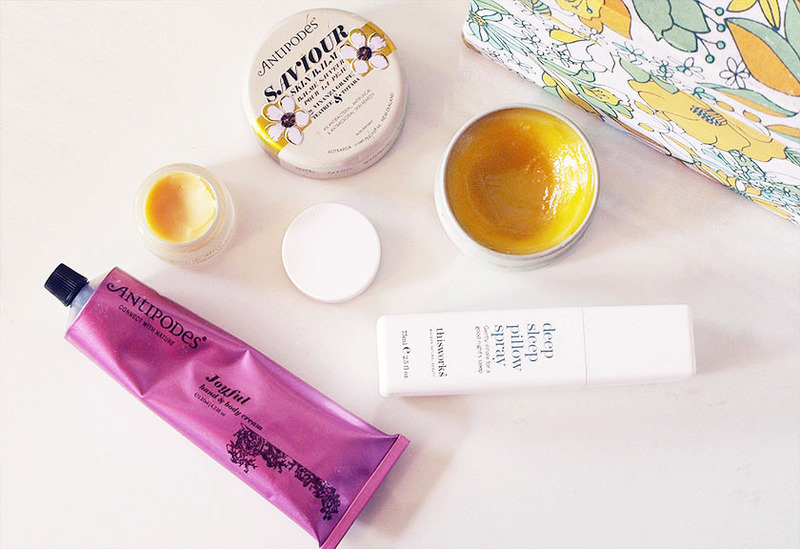 I have been using the Antipodes Saviour Skin Balm (£28.99) on my elbows and knees religiously for over a year now and I can't live without it. It is my second (or third) tin, but it is worth every penny and I will forever repurchase it. Nothing else leaves my elbows and knees so soft! I also apply it to any cuts and burns (I am very accident prone in the kitchen) and massage it into my nails and cuticles as well. It is a multi-purpose product so you can use it anywhere on your body. AMAZING STUFF! 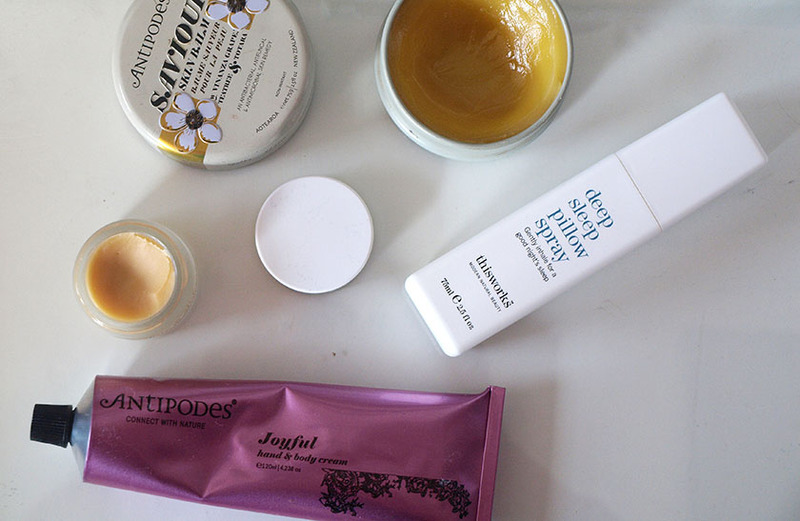 A most recent addition to my bedtime routine, also by Antipodes - is their Joyful Hand & Body Cream* (£24.99). Oh my... It smells incredible! I have an obsession with anything blackcurrant scented and this smells like actual blackcurrant bushes! 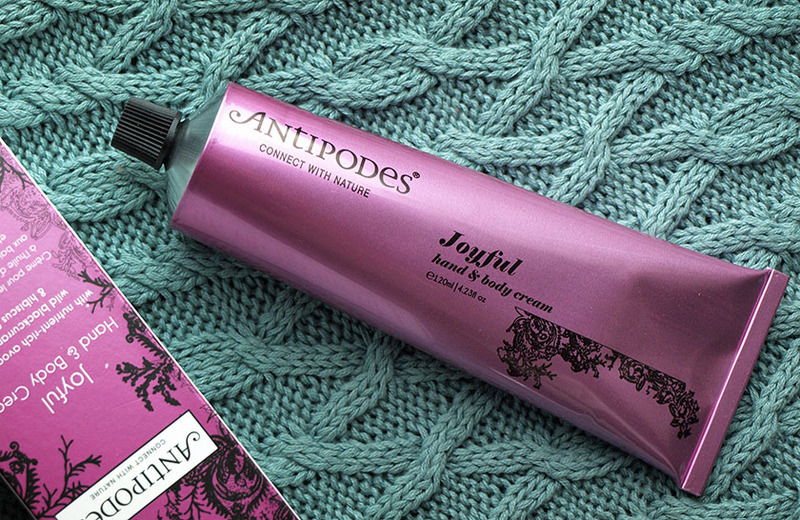 I can now forget about my ex-Holy Grail hand cream by L'Occitane, because nothing will ever beat the wild blackcurrant scent of Antipodes Joyful Cream. I obviously want it to leave my hands soft and nourished as well, but it didn't disappoint and left them silky soft and hydrated! It sinks into the skin pretty quickly and doesn't leave a residue and I have never enjoyed using a hand/body cream so much. Like anything blackcurrant scented, it brings back childhood memories and makes me feel happy :) Exactly how I want to feel at bed time. I can't recommend it enough! You can get it from feelunique with free delivery.